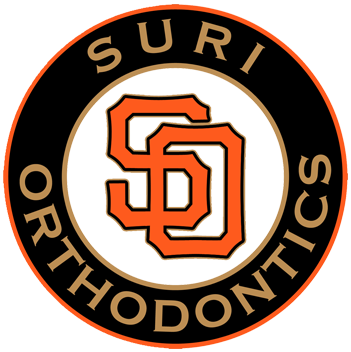 Dr. Suri provides orthodontic treatment for adults, adolescents and children. He follows the guidelines established by the American Association of Orthodontists by recommending that an orthodontic evaluation take place at age seven for all children. This early evaluation can help to determine the best time to begin any necessary treatment. Many progress treatments are now available for patients seven to eleven years of age that provide significant benefits, especially when jaw structure irregularities are present. These treatments may also prevent certain conditions from worsening. Treating children with these types of problems during their growth stages allows our practice to achieve results that may not be possible when face and jaw structures have fully developed. This early treatment can simplify or eliminate additional treatment for the child. Treatment typically lasts from 6 to 30 months, depending on age and the severity of the orthodontic problem. Outstanding results are also dependent on maximizing the coordination of care between you and our practice. We are committed to delivering the best possible service in order for you to achieve an excellent final result.